Everything tastes better homemade, this mighty ginger root was planted by my father (thanks dad) and this tea is very simple to make. 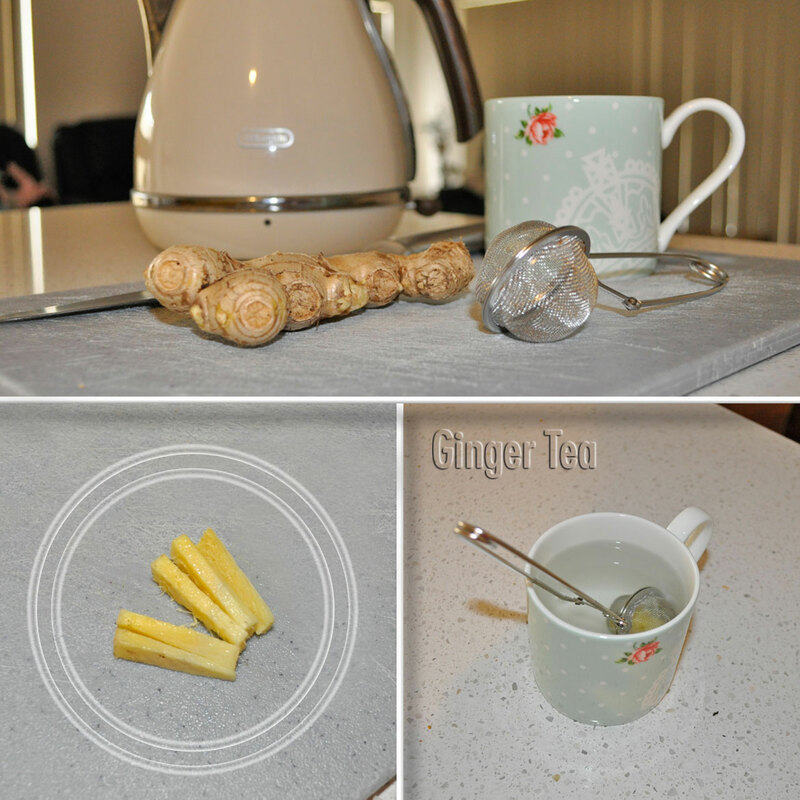 It only requires 2 ingredients: Hot water and fresh ginger. Tea made from ginger has high levels of vitamin C, magnesium and other minerals. It brings with it a host of powerful benefits: Reduces inflammation, relieves nausea, fights respiratory problems, improves blood circulation and many more. You can mask the taste if you feel it’s too potent by adding peppermint or lemon, or sweeten the tea by adding a bit of honey. If you transfer the used ginger to an air tight container and save it in the fridge, it can be reused another two times. Peel and slice about a teaspoon of ginger then bring a cup of water to the boil. You can use a saucepan or a teapot either method will work. Let it steep for about 10 minutes and enjoy. 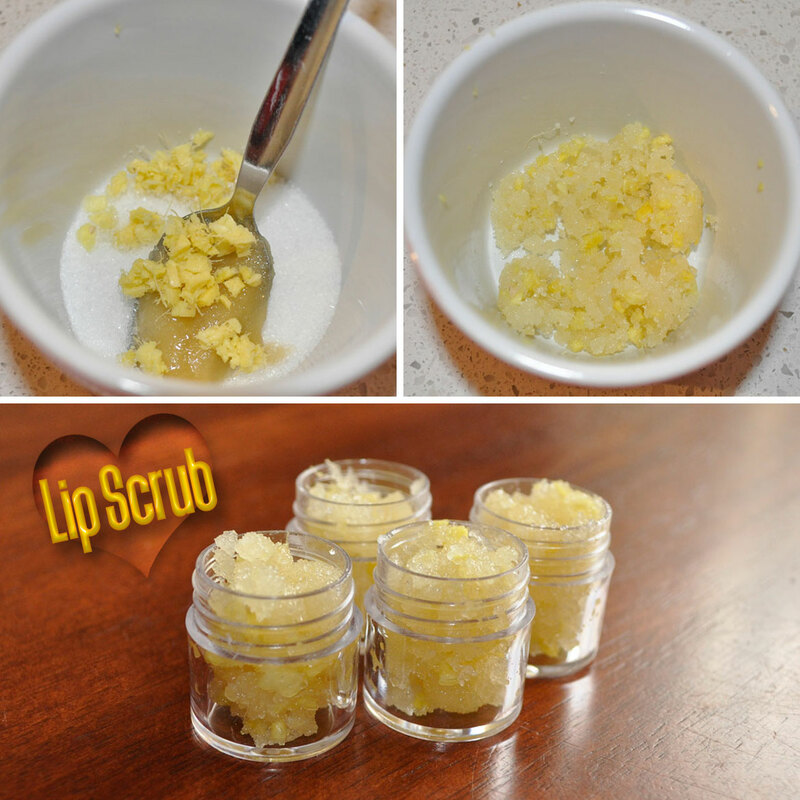 This mouthwatering lip scrub can be whipped up in no time, simply combine all the ingredients together. Massage it onto your lips in circular motions for 1 minute then rinse off with water and pat dry, before applying your lip balm. 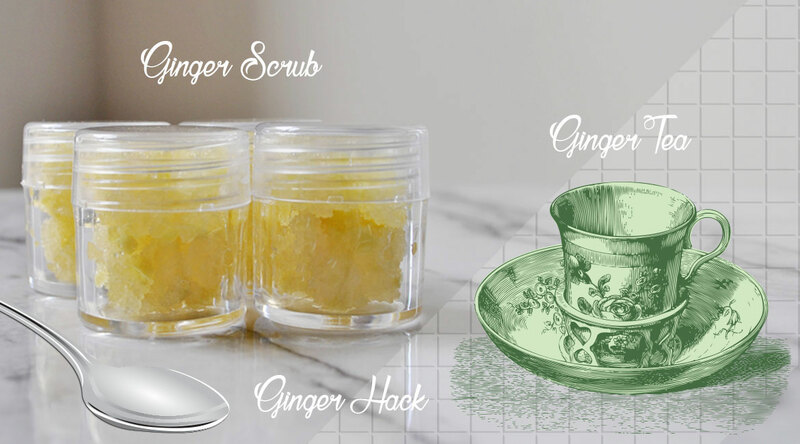 The skin of the ginger root is very thin and is best removed using a spoon, begin by cutting of a small nub then hold the ginger in one hand and use the tip of your teaspoon to trim off the peel in the other. Make sure to go with the grain, this method will give you a smoother and more uniform cut. 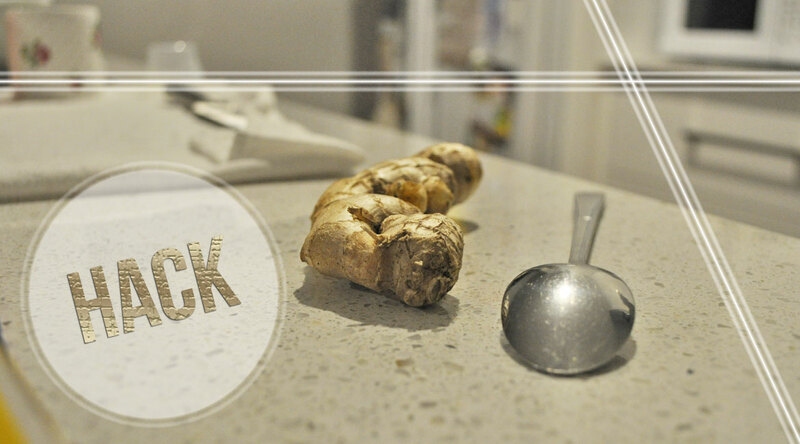 Flavour fades as you cook, be sure to add your ginger to your dish at the end of cooking. Wrap your remaining unpeeled ginger root tightly in plastic wrap and it should keep for about 3 weeks in the fridge or up to 6 months in the freezer.